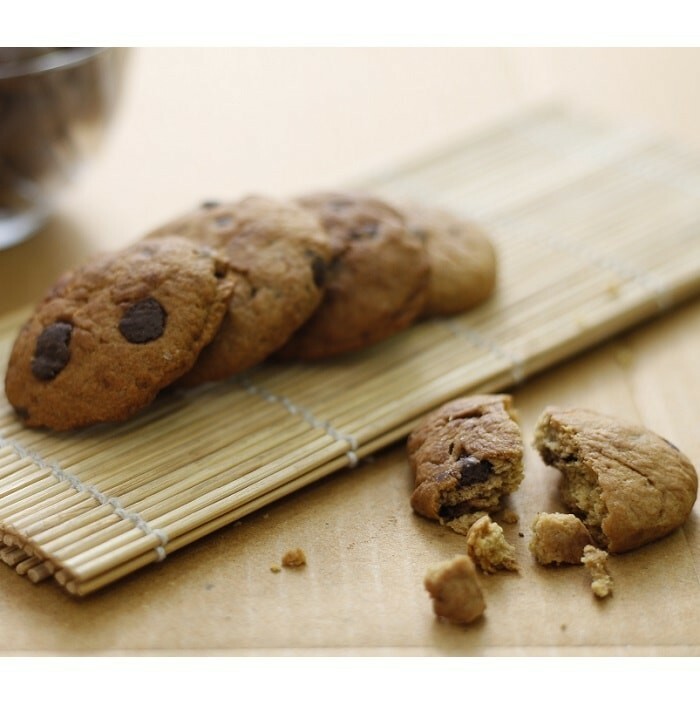 Buy Choco-Chip Banana Cookies of FabBox from Mumbai online | Authentic Indian Sweet , Savories and Delicacies from the place they originate by Moipot. 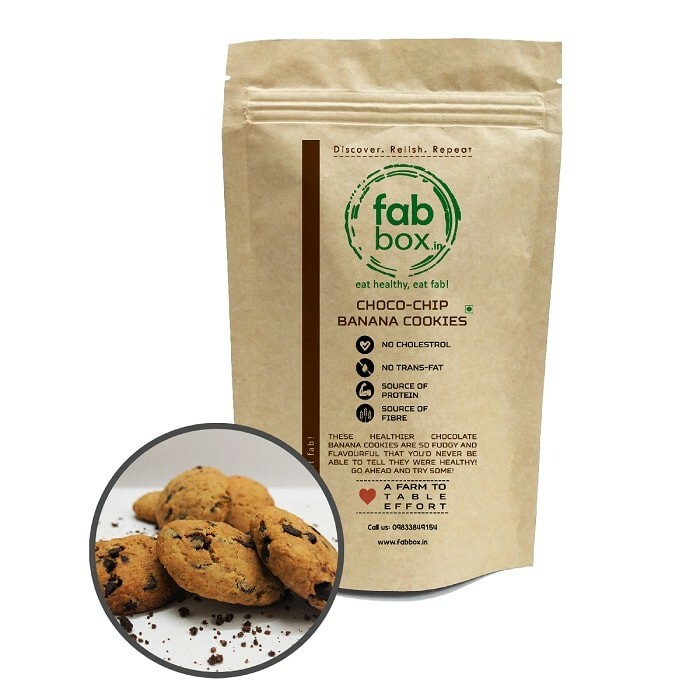 A cookie with both guilty pleasure and nutritional value is quite unheard of if not for choco chip banana cookies from Fab Box. These carb free cookies are made of whole wheat flour and soya lecithin with cinnamon & baking powders, sea salt, vanilla essence and unsalted butter for a soft centre and crispy outer rim.